Class Description: This intermediate/advanced level ballet class is a Vaganova-based class emphasizing full-bodied dancing and musicality as well as integration of articulation with individual expression. Nora Gibson is an American, female choreographer evolving Ballet for the 21st century. Gibson is interested in the beauty of the natural world, as evidenced in mathematics and science, and in working collaboratively with academics and artists of other disciplines to expand Ballet both in content and context. Gibson trained at Baltimore School for the Arts, Chautauqua and NCSA and earned a BFA from TISH at NYU. 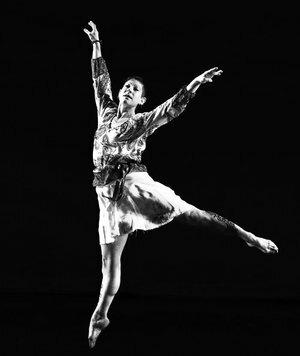 Gibson’s choreography has been presented by New Dance Alliance at Joyce Soho, Dance Place in Washington D.C., Philadelphia Dance Projects and the Williams Center for the Arts.